Of all the diverse elements that go into making of an effective Navy, no single factor is as important as its human capital. It is for this reason that training in the service assumes a special significance. The Southern Naval Command, headquartered at Kochi, is the Navy’sTraining Command. There are currently 33 naval training establishments spread over the length and breadth of the country. The Indian Naval Academy (INA), is located in Ezhimala in Kannur (Cannanore) District of Kerala, a part of North Malabar Region. Nestled between the imposing Mount Dilli, serene Kavvayi backwaters and majestic Arabian Sea, Ezhimala is an idyllic setting for training, with its picturesque and tranquil environment. 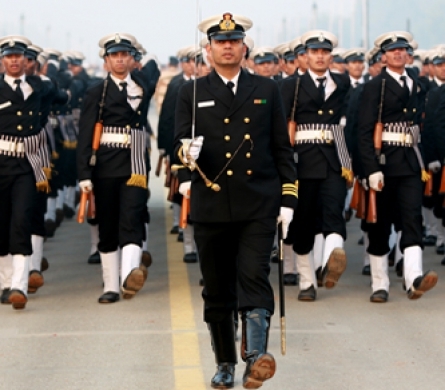 This is the premier training establishment of the Indian Navy which conducts the basic training for all officers being inducted into the Indian Navy through various schemes. Indian Naval Ship Zamorin is the Base Depot Ship for administrative and logistics support for INA. Training at INA has been specifically formulated to mould you into a morally upright, physically robust, mentally alert and technologically aware professional, who is dedicated to excellence. The implementation of the curriculum is oriented to ensure a clean break from the traditional strait-jacketed mentality and infuse in you a sense of innovativeness, creativity, resourcefulness and a passion for excellence. The staff is committed to impart the highest quality of training, and to mould trainees into officers and gentlemen/ladies. INA, Ezhimala is situated approximately 35 km North of Kannur (Cannanore) and 135 km South of Mangalore, on the West Coast of peninsular India. INA is well connected by rail and road. The nearest railway station is at Payyanur, a town located 12 km away from the Naval Base. Payyanur is situated along NH 17, between Mangalore and Kannur. A broad gauge railway line links Payyanur to Mumbai and other major cities in Western, Central and Northern India via the Konkan Railways. A broad gauge rail network also links Payyanur to Chennai and other major cities in Eastern India (via Chennai) and Southern India (via Palakkad). The nearest airport is located at Mangalore, about 150 km from INS Zamorin. There is a regular private bus service between INS Zamorin, Payyanur and Kannur. All trains on the Konkan Railway route halt at Payyanur, except Rajdhani Express (plying between Delhi- Thiruvananthapuram), Sampark Kranti Express (plying between Chandigarh – Thiruvananthapuram), Jodhpur Express (plying between Jodhpur – Thiruvananthapuram) and Jaipur Maru Sagar Express (plying between Jaipur – Ernakulam). NH 17 connects Payyanur with Kannur and Mangalore. There are regular State Government and Private bus services connecting Payyanur to Kannur and Mangalore. The candidates arriving by bus are to disembark at Payyanur bus stand (located within Payyanur town, about four km from Railway station). Payyanur does not have an airport. The nearest airport isat Mangalore, 150 km from Payyanur. Indian Airlines and Jet Airways operate services to & from Mangalore. The other airport is at Kozhikode (Calicut), 145 km from Payyanur. Both, Mangalore and Kozhikode, are well connected to Payyanur by road and rail. On reporting, trainees are accommodated in one of the Squadrons at the Naval Academy. Each Squadron can consist of upto four Divisions with approximately 40 trainees in each Division. The Squadron is headed by a Squadron Commander who is of the rank of Commander/ Lieutenant Commander and assisted by Divisional Officers of the rank of Lieutenant. Each Division comprises a mix of trainees from various courses and is controlled and monitored, by the Divisional Officer assisted by Trainee Appointments in the Squadron/Division. The divisional system thus provides for close monitoring, guidance and counselling of trainees in all their activities. The Squadrons form the living areas for trainees, whilst classroom instructions and outdoor training are conducted in separately designated training areas. 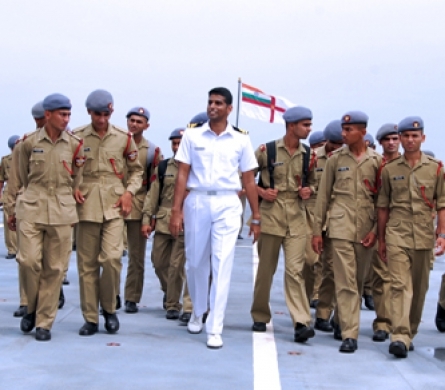 Indian Naval Ship (INS) Chilka is the premier basic training establishment for sailors of the Indian Navy and serves to impart ab-initio training to recruits by a comprehensive training regimen. 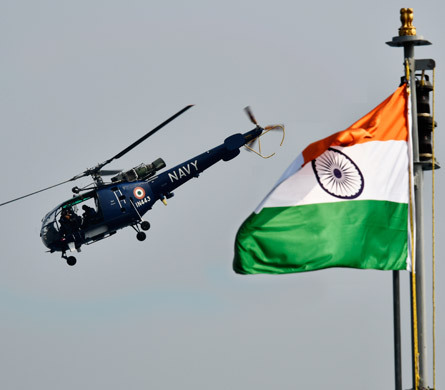 The training at INS Chilka has evolved over the years and has been continuously restructured thereafter to meet the challenges of a technologically equipped Navy. Towards this, the concept of training the mind, body and soul to obtain a ‘Sea Warrior’ with the right attitude has been adopted. 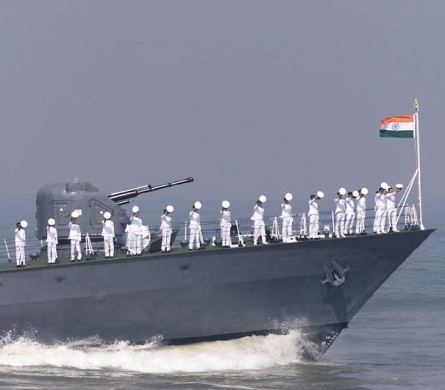 INS Chilka is located in the coastal state of Odisha within the scenic surroundings in the vicinity of Chilka Lake. The Howrah – Chennai route of South Eastern Railway touches Chilka. Chilka is a small station where only passenger trains halt. Balugaon is the nearest station located nine kms from INS Chilka. Khurda Road and Berhampur are major railway stations on either side of Chilka where all trains halt. INS Chilka is approximately 100 km from Bhubaneshwar and 68km from Berhampur by road. The nearest airport is at Bhubaneshwar which is linked with airports at Delhi,Visakhapatnam, Hyderabad and Chennai by regular flights. INS Chilka looks after all lodging and boarding requirements of trainees. A complete set of clothing items including uniforms, bedrolls,suitcase etc. are issued to all trainees on reporting. Trainees are organised into eight Divisions for the ease of administration and to develop a competitive spirit amongst them. Each Division comprises of 150 trainees and is headed by a Divisional Commander of the rank of Lieutenant Commander or Lieutenant. One Master Chief Petty Officer and four to five Chief Petty Officers assist the Divisional Commander in administering the Division. The Divisions are named after heroes from Indian mythology and history.